I love sharing delicious recipe ideas with my friends here on the blog but I especially love being able to SHOW just how delicious they are when I’m on TV. That’s why I rounded up a few of my favorite breakfast ideas to share on ABC 33/40 Talk of Alabama on June 13, 2017. Make sure to check back to see the clip of Holley on Talk of Alabama sharing her favorite recipes. Coming soon! If you saw me on the show and are new to my blog, THANK YOU for stopping by! 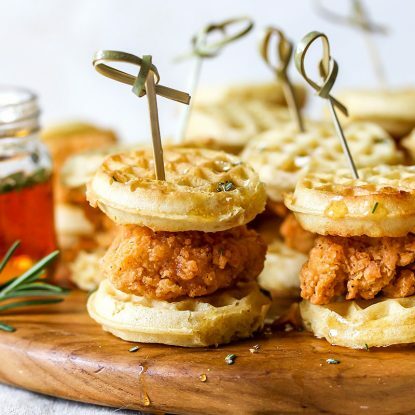 I’m glad you’re here and I would love for you to join my Holley’s Kitchen Notes, so you can stay on top of the latests goings on (and don’t worry–I won’t spam you!). 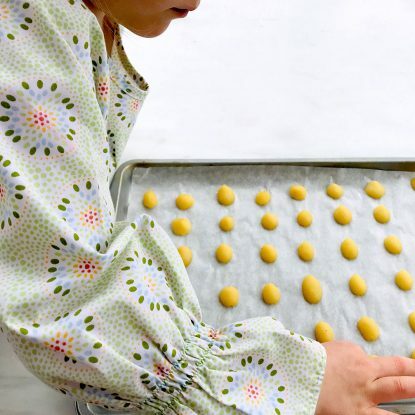 Below are the links to the 4 recipes you saw on the show as well as a few more favorites. Let me know in the comments if you try any of them or if you have a favorite, go-to breakfast your family adores. Can a banana split really be considered a breakfast? Absolutely! 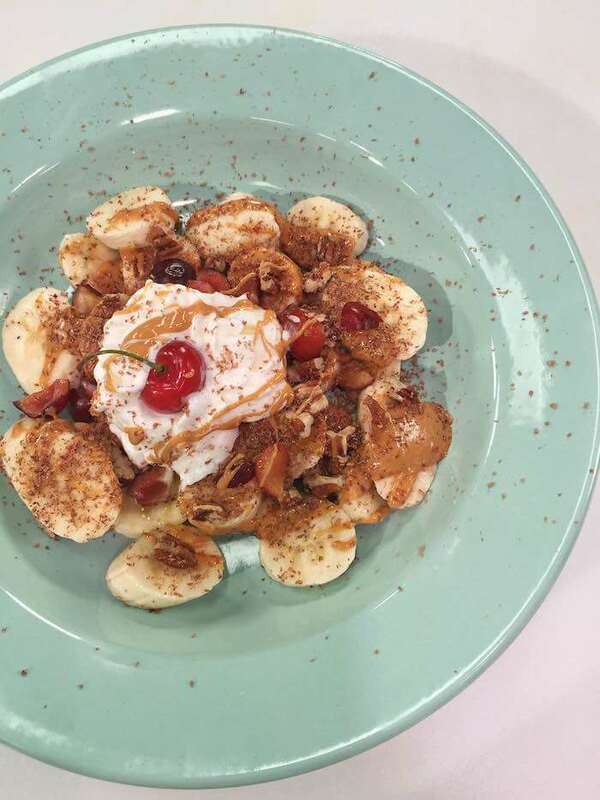 A banana split can certainly be breakfast when you top it with the right ingredients and turn it into nachos! I like to slice my slightly underripe bananas into “chips” and then drizzle with peanut or almond butter. Top it with ground flaxseed and grated chocolate and dollop with Greek yogurt. 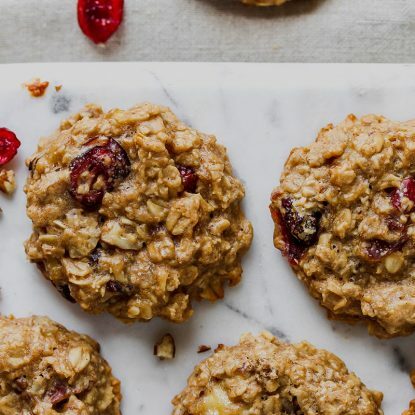 Sprinkle it with chopped cherries and you have a delicious breakfast packed with protein, vitamins, fiber, and a hint of added sugar from the chocolate. Grab the recipe and check out the video to see how easy they are to make! THANK YOU TO SMITHFIELD FOR SPONSORING THIS PORTION OF THE TV SEGMENT. Love a savory option in the morning and want something the entire family will enjoy? 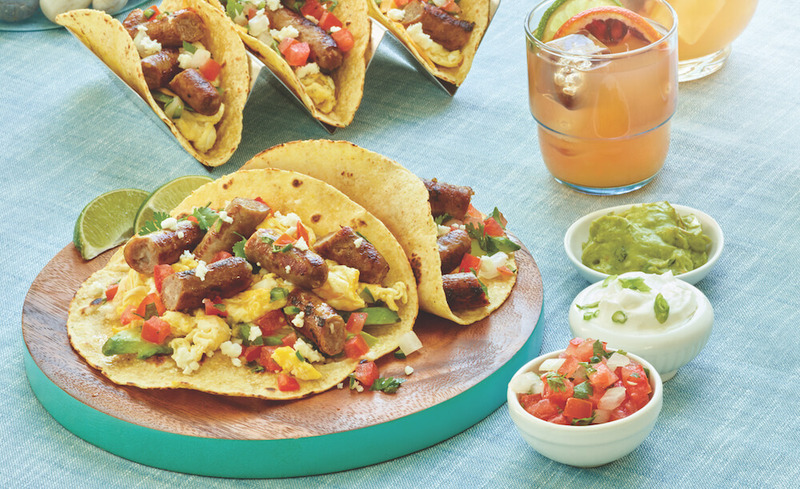 Enter Simple Sausage Breakfast Tacos. I’m a big fan of breakfast tacos because each person in the family can customize with their favorite toppings like pico de gallo, avocado, ham, bacon, green onions, cilantro, or cheese. Just set up a toppings bar and let everyone go to town. Plus, this is a great option when entertaining and feeding a crowd (think lake trips, beach trips, etc). Another option that is sure to satisfy even the heartiest of appetites and works well for those looking to enjoy breakfast all day (note–hand raised over here!) is Smithfield’s Breakfast Avocado Toast with Bacon and Ham. This fork and knife open-faced sandwich is loaded with protein-rich foods, healthy fat from the avocado and fiber from the bread. 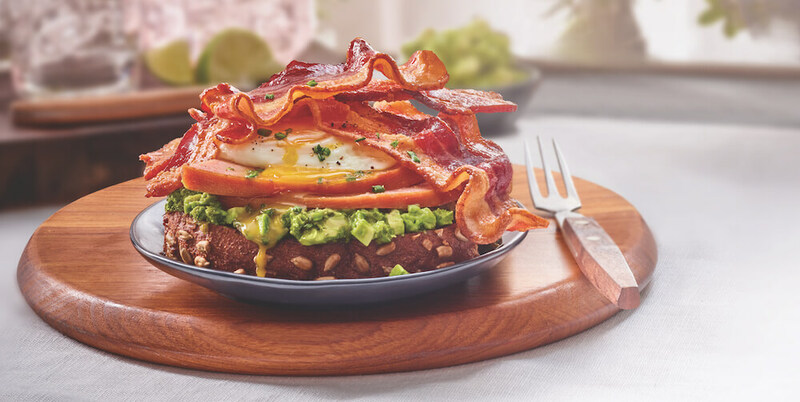 Use a thick slice of multi-grain bread and then top it with avocado, ham, a runny egg, and crispy bacon. When I’m eating a sandwich like this, I always like to serve it with a side of fresh tomatoes and some fruit to round out the meal. Struggling to get your kids toeat their fruits and veggies? I know, me too! I’ve found that smoothies are one of the best ways to help work in produce–especially vegetables like spinach or kale. I always suggest starting with spinach if adding veggies is a new thing and then growing from there. 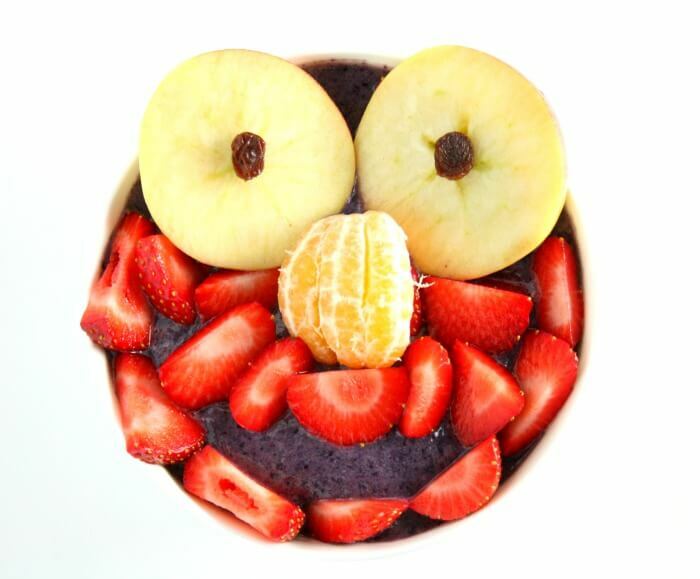 My Monster Smoothie Bowls are fun because they’re purple (which is novel to my children) and they are able to play with their food.